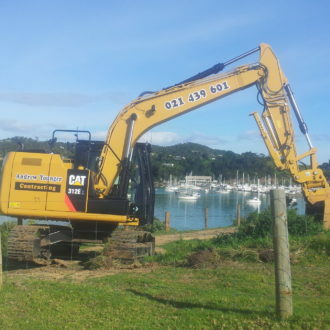 Jobs that require any sort of excavation work can be handled with ease using our range of equipment. 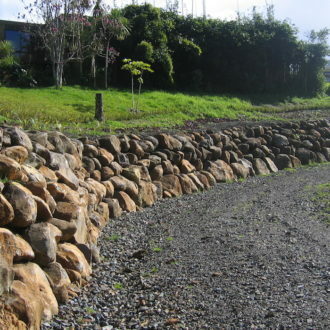 We can create structurally sound and visually appealing retaining and rock walls to enhance your landscaping needs. 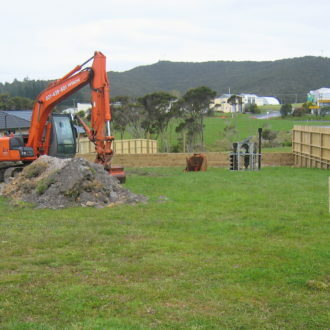 Contact us if you need a house site prepared for foundations and building, or a driveway added or improved. 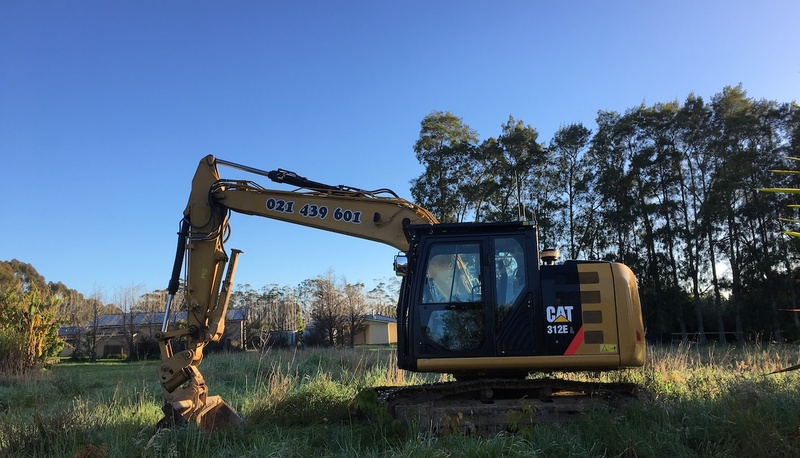 Managing storm water flow and drainage, particularly on farms, is easily sorted with the expertise of an excavation contractor. 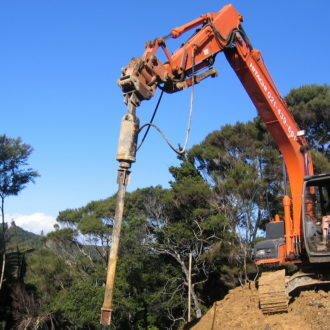 We have specialised equipment for hole drilling and can manage ways to access those tricky sites. 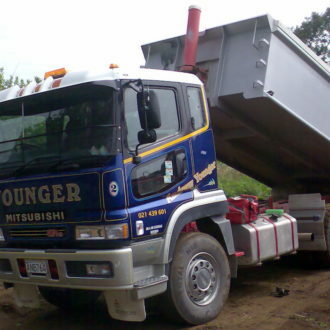 We offer cartage services for bulk loads such as metal to deliver to your site. Our tip trucks make it quick and easy to get it to the spot you need. 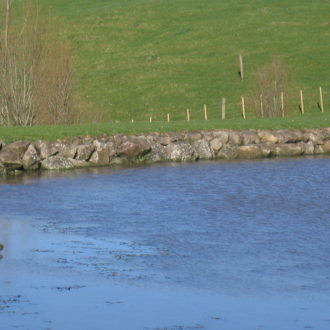 We can make those landscaping jobs quicker and avoid the hard labour of moving piles of soil and rocks. 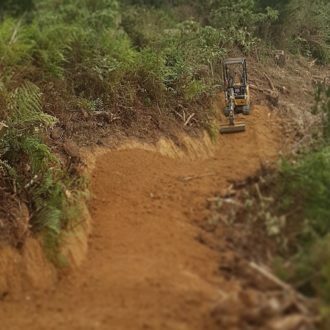 We also have extensive experience of building trails and tracks through forestry and bush having been contracted to the Waitangi Mountain Bike Park. 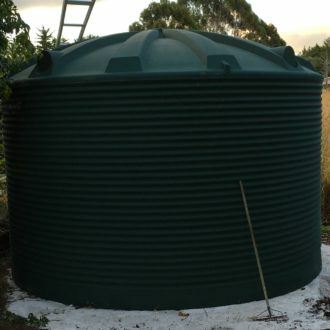 We can prepare the holes for septic and water tanks with demolition and removal of older tanks and systems.